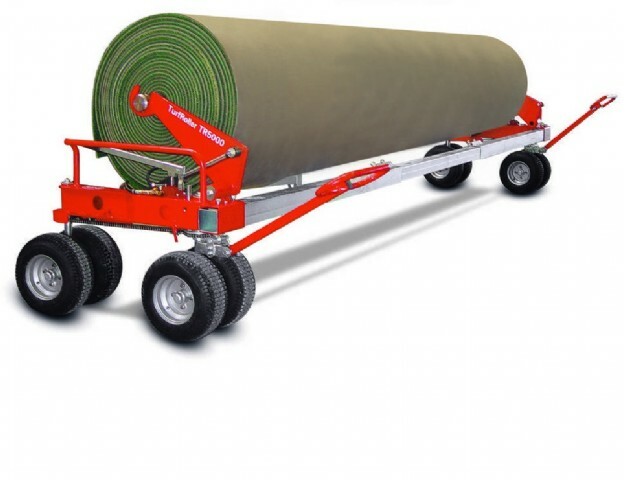 RotoTine RT1502 is designed to loosen the artificial turf infill material. 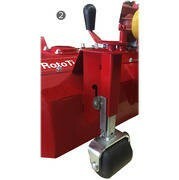 It can also be used to work out the infill from the artificial turf by adjusting the working depth to a lower setting. 4 adjustment spindles allow the adjustment of the working depth to the desired setting. A locking mechanism secures the spindles from turning. 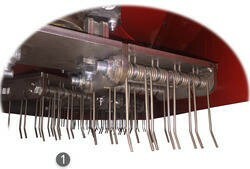 The rotating tools are equipped with tines. If needed, brushes of di fferent configuration and hardness can be used. Operation requires a tractor with at least 22 kW (30 HP) drive power and also a 3-point hydraulic hitch. We recommend a continuously variable hydrostatic transmission drive or crawling gear. The PTO must be at 540 rpm.